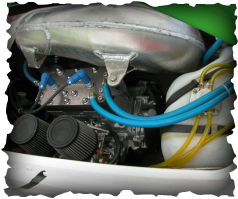 The leaders in Jet Ski engine short block and motor rebuilds. We have been building Jet Ski Sea Doo shortblock's and Waverunner engines since 1994. We use high quality engine parts in all our motors. So, If someone says you need a new Jetski engine or your Jet Ski engine can't be rebuilt? Contact us. The fact is we can usually save most engines. IJS includes the gaskets needed to re-install your engine into hull. We specialize in Kawasaki Engines SeaDoo Engines and Waverunner motor. We are the #1 performance engine builder with an average of 5hp gain over stock..Our engine rebuild/remanufacture comes with a limited 2 year warranty. *Denotes indicate cylinder replate not covered and might have an extra cost.. ~ Denotes does not cover counter balancer or rotory valve assy repair. You want to rebuild your Jet Ski engine, Sea Doo engine or Yamaha motor yourself? We sell everything you need to repair engine.